The Yale Center of British Art has a fantastic collection of materials online. With each unit I teach I look for images that will enhance the course content and visual literacy practices. 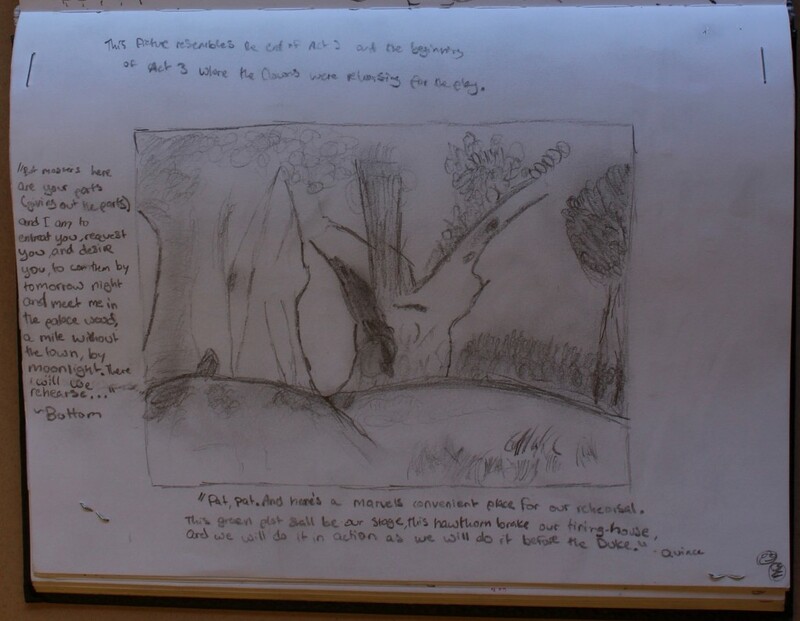 Once I have established a regular classroom practice of drawing/looking and have linked this practice to creative and critical skills, I find students more engaged with any one task. When we were reading A Midsummer Night’s Dream, I wanted the students to have a visual sense of the woods as imagined in the play. I went to the Search All Collections page. Once here, I clicked on the Prints and Drawings. in the first box, ‘All Fields’ typed in “Trees” and the “forest” to see what would I could discover. I found many wonderful prints. The first drawing, Ancient Trees, Lullingstone Park (1828) by Samuel Palmer (1805-1881) I used with A Midsummer’s Night Dream. 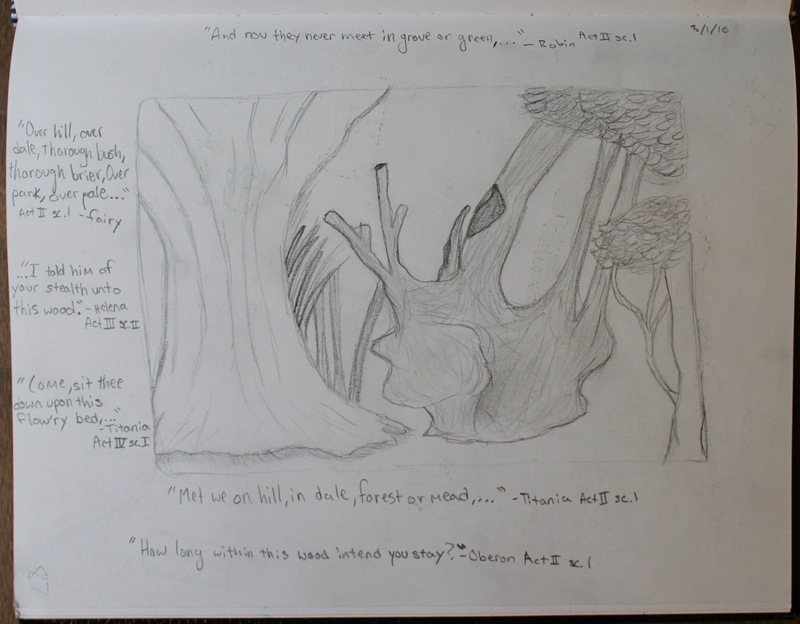 Students drew the image of the forest and then for homework had to imagine the setting for the play. 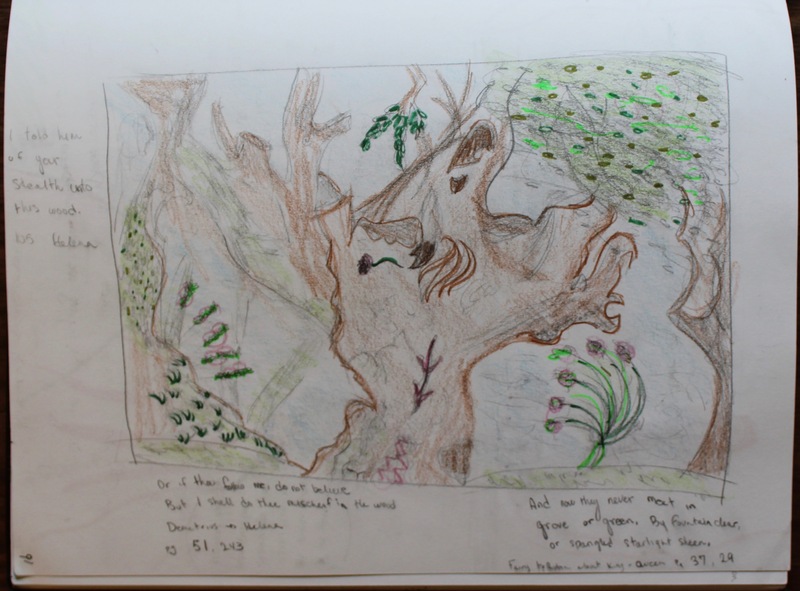 The delight of the assignment is that we all began with the same image, but we all imagined various points where this ancient wood fit into the play. Although the drawing was realistic as you can see students still added their own reading of the image. 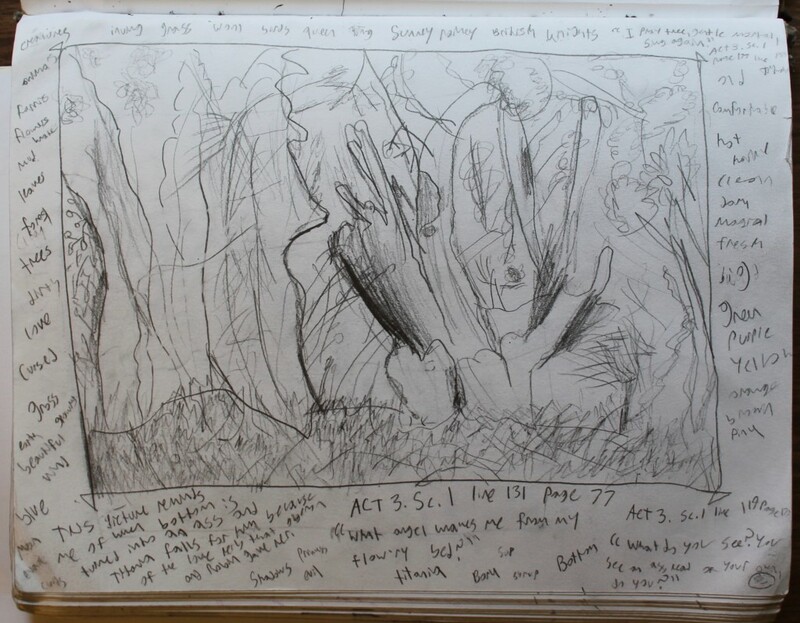 Students shared with each other their drawing and their setting, explaining why creating a forest of meaning. If you search the collections for Samuel Palmer you will find full array of images in various mediums. A follow up assignment would be to ask students to go through the collection a look for another image they would use for the assignment and explain why.